The TimeTrap™ Delay Time Recorder has been designed to measure detonator delay of electric detonators. This instrument will allow for the accurate measurement of the delay element in an electric detonator with variable amperage applied to the firing circuit. With the optional upgrade, the TimeTrap™ Delay Time Recorder will have the ability to measure the delay time in nonelectric detonators, impact fuses, trunkline delay units and relay units. Also with the optional upgrade, the unit will measure shocktube velocity. The TimeTrap™ Delay Time Recorder will help in accurately measuring the delay times in the initiating accessories. With the upgrade to the TimeTrap™ Delay Time Recorder – Full Edition, a number of other sensors are included to allow the measurement of a variety of timing related items. The Piezo-Electric Pressure Sensor has a variety of uses. It will measure time of arrival of shock waves from the different components in the detonators. The Optical Fiber Sensors convert light from a fiber optic cable that can be inserted into different applications and the TimeTrap™ Delay Time Recorder will provide the time delay between the start and end signals. 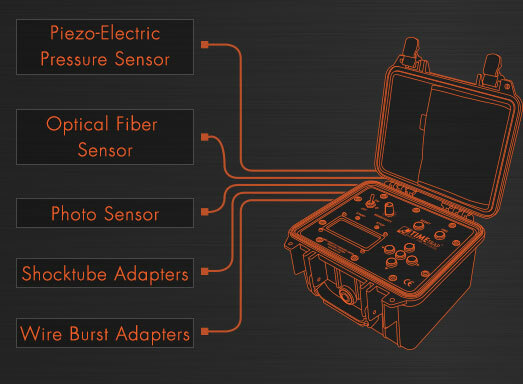 The Photo Sensors are a general use photo cell with the ability to attach the shocktube adapters in order to measure the velocity of detonation. 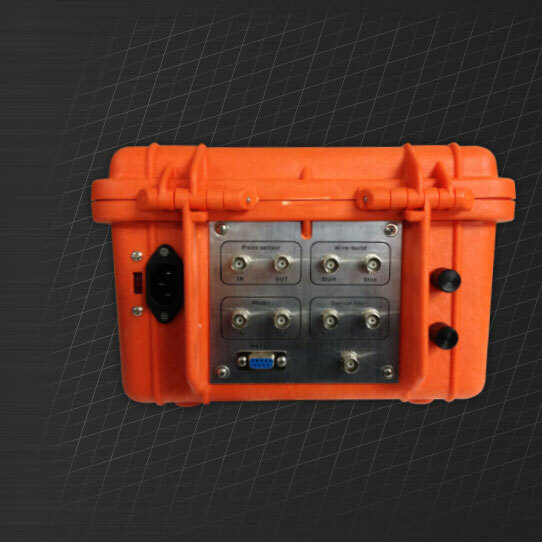 Two Wire Burst Adapters are included to allow the measurement time between the wires breaking when used to measure explosive accessories. For more information, click here. This upgrade will allow upgrade the unit from one microsecond per sample to 100 nanoseconds per sample.